Athletes from across the Midwest will launch World Roller Derby Week on August 13th on the 82nd anniversary of Chicagoan Leo Seltzer presenting his creation, Roller Derby, at the Chicago Coliseum in 1935. The inaugural World Roller Derby Week will include a public birthday celebration, a retro roller derby game played with the rules and uniforms of the 1970s, and a donor pledge campaign for a national roller derby blood drive. One of only three major sports invented in the United States, roller derby has inspired generations of athletes and fans. Currently, almost 2,000 women's, men's and junior leagues are skating, competing and giving back to their communities worldwide. "We want to look back at our roots, pay respect to its founding members and to the city of Chicago, to celebrate our beginnings and progress, and give back to the community through service," said Cheryl Cryer, organizer of World Roller Derby Week. "The roller derby story should be shared broadly as we look to our future in our juniors, who will no doubt carry us further than we could ever imagine." The kickoff event for World Roller Derby Week will be a public Roller Derby birthday event August 13 from 12:30 p.m. - 2 p.m. at the place where the sport was invented, Coliseum Park, 1513 South Wabash. Athletes from roller derby organizations across Chicagoland will be invited to skate in uniform, while junior skaters will serve birthday cake. Donor registrations for "First Blood," a roller derby themed blood drive will be part of the celebration. A commemorative roller derby doubleheader game played under the 1970s rules and in the classic uniforms of the Midwest Pioneers and the Chicago Westerners, and a Junior Roller Derby game under the most modern rules will be the highlight of the August 13 celebration, from 2 p.m. - 6 p.m. at Fleetwood Roller Rink, 7231 W Archer Ave, Summit, Illinois. A limited number of tickets are available online. The Chicago Westerners vs. The Washington-Baltimore Pan Jets, 1951. 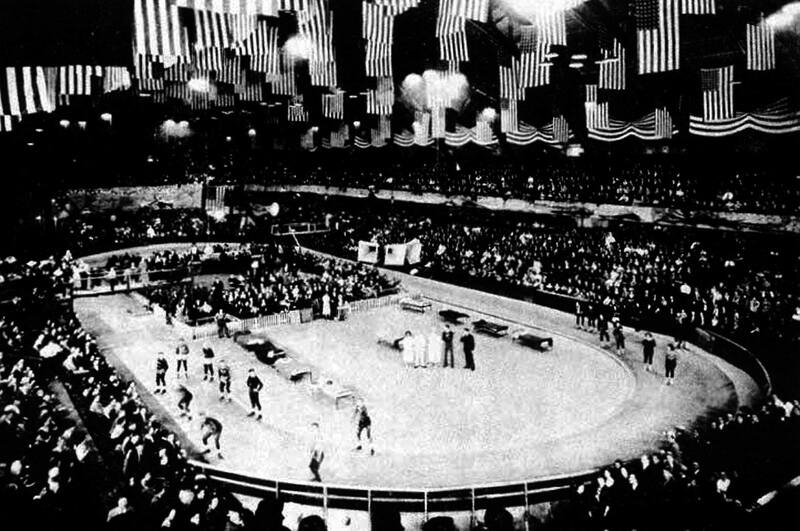 Tribune: Roller Derby's Golden Years. More than 50,000 at Comiskey Park in 1972. Roller Derby's Golden Girl, Joan Weston.